Jump rings are an essential when it comes to jewellery making... they are the little components that go un-noticed but make so much possible! 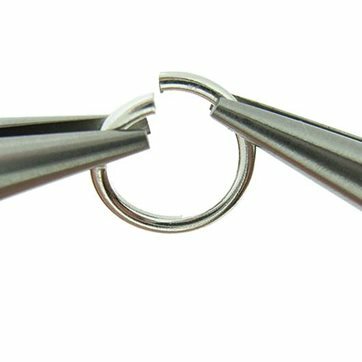 Whilst it may seem like the most simple thing to do, there is a knack to opening and closing jump rings that will help to ensure your jump ring is secure. Here you will find our three easy steps in achieving this. 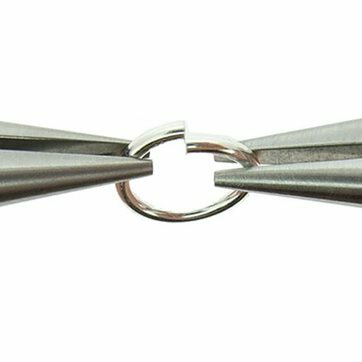 Use flat nose pliers or snipe nose pliers, (which are flat on the inside) to help you get a good grip on the jump ring. If you are right handed you will find it easiest to hold the jump ring steady with the pliers in your left hand and do the 'twisting' action with your right hand. 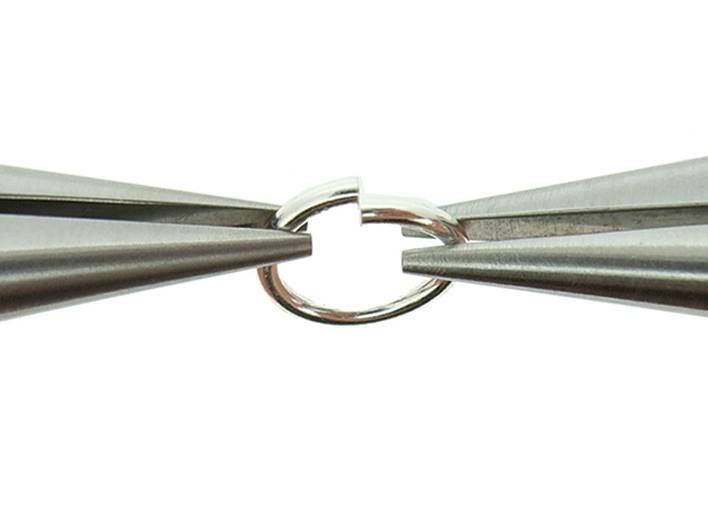 It is easiest here to use another pair of pliers to open the jump ring by twisting it open away from you. Only open the ring as wide as you need. 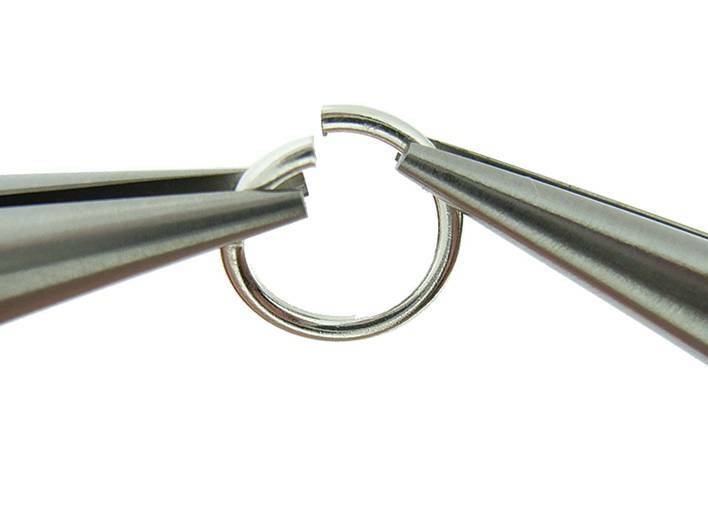 The important thing to remember is that the jump ring should be opened or closed by twisting and not pulling apart. 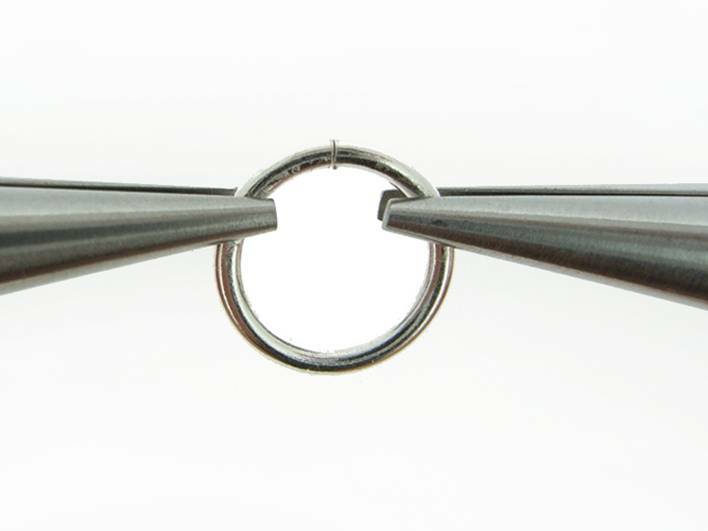 To close, twist back towards you, letting the ends of the jump ring slide next to each other. 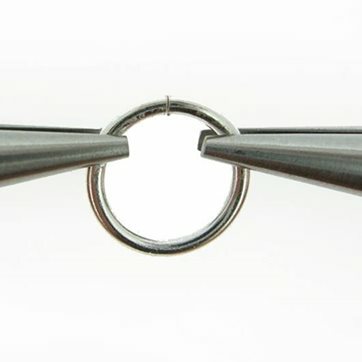 To get a really secure fit, twist the ring slightly past the closed position and then back again letting the natural spring of the metal align the ends to a tight, closed position. You will hear a slight 'click' when it is securely closed.